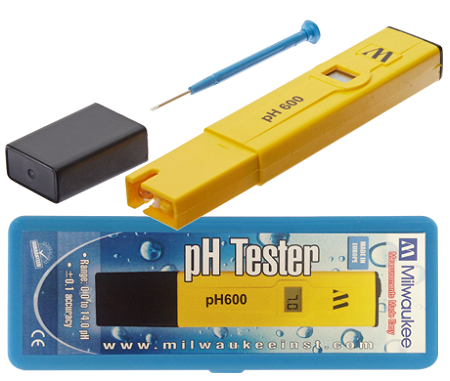 Milwaukee’s easy-to-use full-range pocket pH tester at an exceptional value. Priced right for any budget, Milwaukee Instruments pH 600 Hand Held pH Pocket Tester offers hobbyists an affordable introduction to electronic testers as well as a great time-saving alternative to liquid pH test kits. Economical electronic pH tester offers quick and reliable results measuring 0.0 to 14.0 pH with a 0.1 resolution.